The shocking context of the white supremacist hateful terror attack that killed 50 Muslims and injured as many as 34 others offering prayers at the Al Noor mosque, in Christchurch, New Zealand,cannot be seen in isolation from the ideological strands that get woven into the anti-migrant, anti-Muslim narrative that was primarily triggered by the publication of Samuel Huntington’s book, “Clash of Civilizations”. 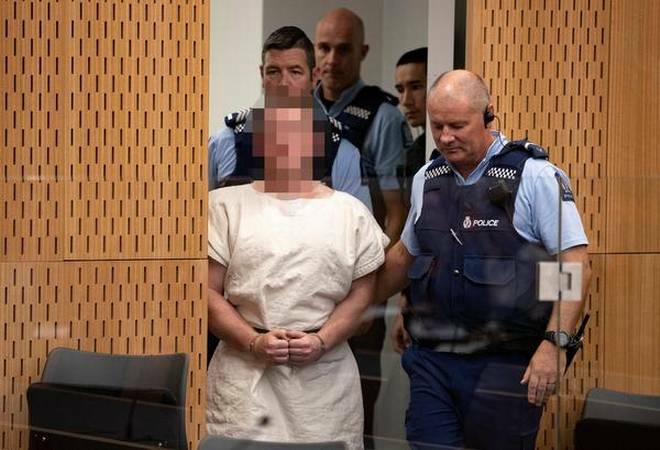 New Zealand Prime Minister Jacinda Arden and few others have confirmed that they received a copy of the suspected Christchurch shooter’s “manifesto” minutes before the attack started. The 87-page document, was also posted on social media before the shooting. It is a document that is more or less bursting with anti-immigrant, anti-Muslim harangue that reminds one of Anders Breivik, a far-right terrorist who committed the 2011 Norway attacks instigated by similar anti-immigrant white supremacist dogmas that instigated Brenton Harrison Tarrant, the committer of the Al Noor Mosque attack. The writer in fact refers to Breivik in the manifesto. CNN and some international media are trying to us the fact that the terrorist told his online viewers to subscribe to the YouTube channel of PewDiePie, and the fact the document tries to tie up several internet in-jokes, memes and trolls into its narrative as an indicator that the Internet should also blamed for the crime. There were quotes appearing form experts in the news media who were inclined to evaluate the role of popular culture and video gaming in instigating people to carry out murderous attacks on others.This is probably done with the motivation to help divert attention from the larger political and ideological backdrop of white supremacist terror globally unleashed by the far- right. If one carefully reads the manifestos of both Breivik and Tarrant and the various similar documents that have been circulated globally by white supremacist groups and terrorists it can be very clearly seen that there are strong traces of compelling complicity of the Huntington thesis in the perpetuation and replications of the ideological perspective that constitute the core of the detestable world-view shared by the far-right, which includes, apparently, the American President Donald Trump himself. In his controversial thesis about the Clash of Civilizations, Samuel Huntington’s hypothesis was that the fundamental source of conflict in the new world will not be ideological or economical, but cultural. He asserts that during the cold-war period, the clash was between the Western countries and wasfought over ideological categories like democracy and communism.Cold War was an aberration according to him and it would be followed by a shift in the nature of world conflicts that would be fought at the fault-lines between the major civilizations of today. Out of the nine contemporary civilizations that he identifies, three monopolizes his attention; West, Islam and Sinic. That is, Huntington proposes that the major clashes of the world henceforth would occur due to the threat for the West from Islam and China. Though the theory obfuscated the realities of unequal power, the deepest divisions between rich and poor countries, though it was carelessly constructed, ahistorical and contradictory, Huntington’s thesis dominated public discourse since it was first launched in 1993 in Foreign Affairs, and later published as a book and was subsequently adopted as a primary framework for foreign policy formulations in US. Apparently this popularity was more due to its appeal to the Western, particularly, American imagination that required to reinitiate a new enemy to feed its fear psychosis. For his thesis (that Edward Said calls ‘belligerent’), Huntington largely depended on the 1990 article by veteran Orientalist, Bernard Lewis, whose stance is manifest in his very title ‘The Roots of Muslim Rage’. Without delving into the deeper implications of ‘civilizational identities’ Huntington provides three yardsticks for the future conflicts: between ‘core states’, between ‘fault-lines’ of the civilizations and fault-lines between groups within the states. The significance of Huntington’s thesis perhaps lies primarily in revisiting the multiple ways in which it was countered and critiqued. Apart from arguments against the proposal of monolithic identities for civilizations, one particular stream of criticism against Huntington’s theory that deserves mention is the theory of ‘clash of ignorance’(Karim and Eid,2012, ‘Clash of Ignorance’ Global Media Journal — Canadian Edition Volume 5, Issue 1, pp. 7-27).This proposes the antithetic position that clashes arise primarily due to the fault-lines in the knowledge production itself, due to failures of intercultural communication and understanding. This mode of critique not only provides a unique epistemological potential for multidisciplinary research in intercultural interactions, but proves to be extremely handy in confronting the many historical and cultural misrepresentation of facts within cultural communities. In fact, as Karim and Eid argue, ‘religious illiteracy’ and cultural ignorance about the ‘Other’ lies at the root of all ‘clashes of ignorance’. To take an example of the Western and Muslim societies, a vast store of knowledges about many productive interactions between the two cultures over the course of centuries have been brutally and stealthily put aside. The common Abrahamic root of Judaism, Christianity and Islam and contemporary Western Philosophy is one such. West and Islam are conceptualized in most dominant discourses as inimical geopolitical entities locked inside their own boundaries. But we know that Muslim presence in Europe is 1300 years old (which is not a very small period to speak about considering how young humanity itself is) And as Edward Said asked, in his legendary book ‘Orientalism’, how can we speak of Western Civilization except as the ideological fiction implying the superiority of a handful of ideas and values that itself has no meaning outside the history of conquest, immigration and travel? Similarly, misleading is the idea of Islam as a singular civilization of geo-political bloc. Islam has appeared as a timeless phenomenon, unchanging and static in both Muslim and Non-Muslim discourses. However, religion like any other socio cultural entity can never be static and timeless. Karim and Eid and many other scholars point to the confluence of faiths, cultures and ethnicities comprising of Ummayad, Abassid, Safavid, Fatimid, Mughal and Ottoman territories that makes the idea of a monolithic Muslim civilization highly redundant. While ‘Clash of Civilization’ in itself was a theory that was propounded to justify the violent military pursuits of America over the Arab nations— the gigantic and stealthy step to capture the monopoly over oil— most of the critiques that came up against the theory tried to address its faults and thereby helped to legitimize the discourse about a ‘clash’. It is during the colonial era that Europeans appropriated the term ‘civilized’ as a derivative of ‘civilization’ and applied it to themselves. The concept that powerfully ‘civilized’ nations had the right to acquire the guardianship of the lesser privileged continents like Asia and Africa formed a basis of most colonial discourses. On the theoretical realm this formed the foundation to assume certain ‘standards of civilization’ and practically it gave the colonial invaders the right to ‘legally’ subject the natives to discriminatory treatment. A Nietzschean genealogy of this morale of ‘protection’ and ‘correction’ would easily reveal how ubiquitous and permeated this savior syndrome is in the Foreign policies of European countries and America. Even the idea of ‘modernity’, as the theoretical epitome of progress and standard that came up from the cradle of Western Enlightenment, is replete with this urge to be the ‘light’ for the ‘dark’ regions of the world. The othering of Islam against a civilization of ‘Christendom’ looks all the more molded up because till recently Jews had been excluded from this same civilization, were regarded as the polluters of civilization, the same civilization that is now being re-read as Judeo-Christian(Mohammed Ayoob, 2012, ‘Was Huntington Right? Revisiting the Clash of Civilizations’, Insight Turkey Vol. 14 / No. 4 / pp. 1-11). The main reasons for this shift could be either the Christian Europe’s guilt over Holocaust or the political clout of the American Jewish community, or perhaps both, as manifested in the imposed tragedy of Palestine. But with 1990s political Islam began to increasingly replace the ‘mortal enemy’ (Hitler’s description for the Jew) and the ‘dog to be spurned and spat upon’ (Merchant of Venice) as the main challenger to the Western consciousness. “One of the greatest achievements of the Israel lobby and of Jewish Americans, has been to transform the idea of America based on the Anglo-Saxon variety of Christian civilization into one based on a Judeo-Christian civilization,” observes Mohammed Ayoob. He observes that after the cold war Israel is no longer treated as the surrogate of America in Arab provinces, but in a reverse order US has become a willing tool to Israel as evident from the foreign policies of both States. Ayoob endorses the ‘cultural kinship’ theory of Huntington by observing that nothing but the cultural kinship between US and Israel as Judeo-Christian representatives can explain the alacrity with which Obama submitted to Netanyahu’s will. A re-reading of the theory thus discusses how Palestinian crisis stemmed from a civilizational prejudice against a people who were treated as ‘non-people’ in order to give home to a people with no land. Ayoob also cites the same assumed ‘civilizational enmity’ as one of the strong reasons for Europe’s denial of Turkey and its acceptance of several former Soviet bloc nations of dubious records into EU. Turkey’s attempts to improve the relations with its neighbors and to gather support for Gaza was even termed as ‘neo-Ottomanism’. In short even the argument of those who strongly criticize Huntington’s ideology inadvertently supported his basic premise that a clash over cultural kinship would be prominent in the post-cold war era. The continuing white supremacist terror is a practical application of the Huntington thesis. Huntington’s theory is understood in a white supremacist framework as implying an impending danger to the western civilization caused by Islam, just as the cold war era problematized the freedom of the west as being ensured only by keeping the spread of communism around the globe. The west now not only have to defend a civilization, but had to resist an impending onslaught from an enemy civilization, identified as Islam in the current global context, that is gaining strength day by day.The irony is that many contemporary global discourses, upsetting feuds, devastating wars, appeasing dialogues, diplomatic initiatives and patchwork policies are built up over this theory about a significant civilizational other. 2001 was proclaimed by UN General Assembly as the ‘Year of Dialogue among Civilizations’ which was followed by an attempt for an initiative for an ‘alliance of civilizations’. Mostly when universal civilizational values like democracy, human rights and rule of law are brought in, ‘clash of civilization’ become accepted like a self-fulfilling prophecy. The complicity of the Huntington thesis in the programmatic perpetuation of white supremacist terror cannot be undermined just by linking the narrative of the so-called manifestos of the terrorists with Internet discourses and their influences. Its ideological leanings are clearly rooted in the 1990s’ reconfiguring of the unipolar world that emerged after the collapse of the Soviet Union as an imaginary bipolar one with Islam and the west as its two hostile poles.